Don't even think about Valentine's Day plans until you schedule a day to celebrate your girlfriends for Galentine's Day. 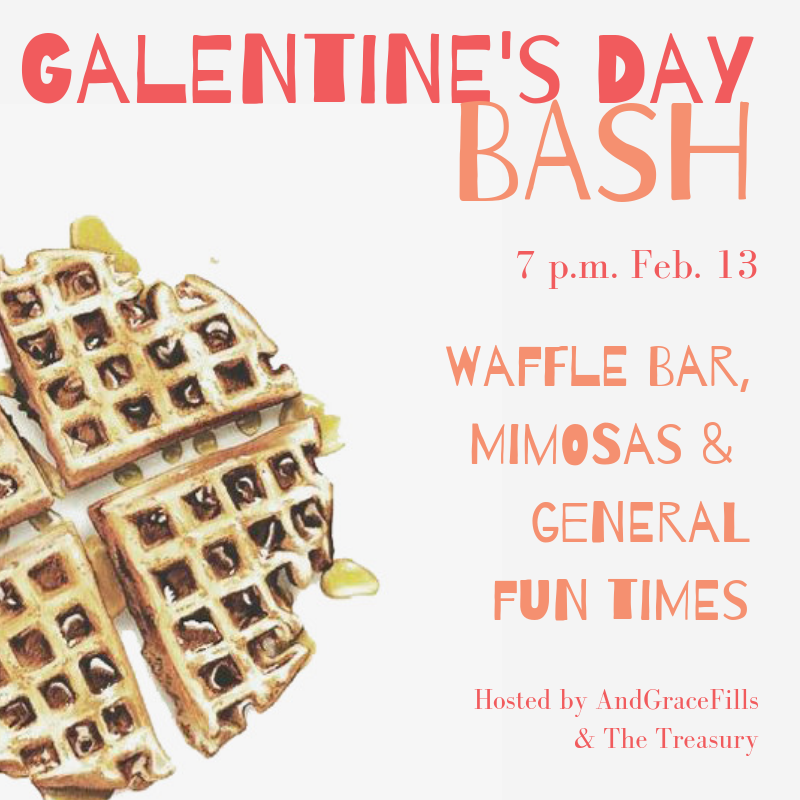 Invite your friends and join us for a waffle bar, mimosas and plenty of chances to tell your friends how much they mean to you. This event is hosted by AndGraceFills and The Treasury. Tickets are $20 (bring $5 cash for bottomless mimosas). Treasury events are always free for our members!